Being a child of Klagenfurt and our Lake I grew up seeing the ships roll over the lake each and every summer. 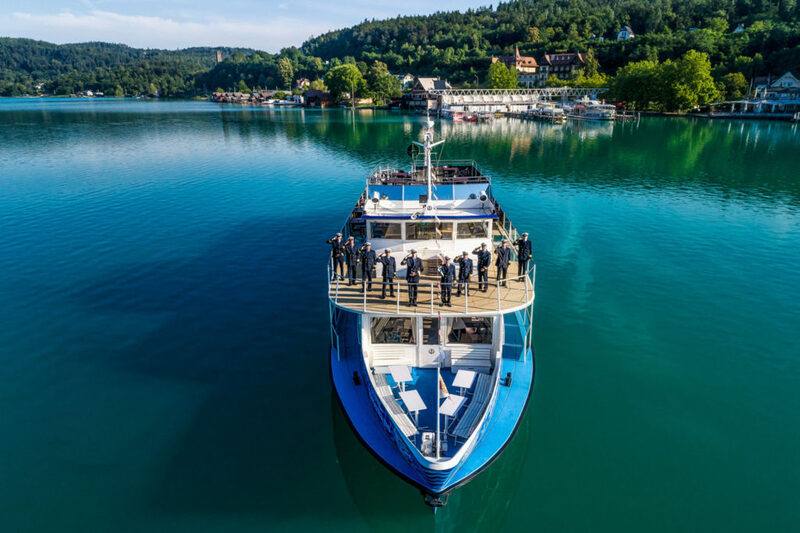 Sometimes on special occasions I was part of the boat party and enjoyed the gentle surf from Klagenfurt to Velden on the other side of the lake. Now I had the chance to shoot the people behind the wheel of the so called “ Wörthersee Schifffahrt „. All the captains posing on the biggest yacht. In the background you can see the dry dock and the piers in Klagenfurt. I guess it’s a great place to live!